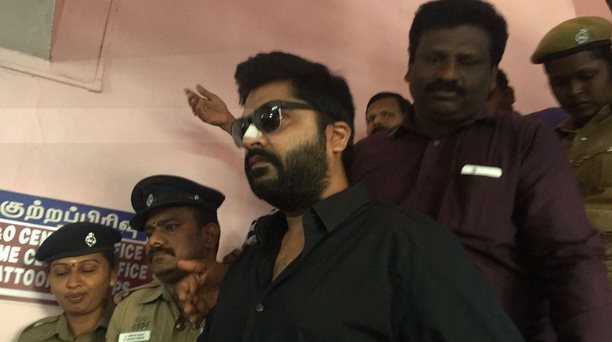 At last, Simbu appeared today in front of the police, in connection with ‘Beep song’ row. The actor-singer presented himself before the Kattoor police in Coimbatore and answered to questions. Simbu said he was innocent and did not do any mistake. “I leave the rest to the God. He will take care of everything,” he said. It may be recalled that Simbu was summoned by the police of Chennai and Coimbatore after complaints were filed against him for the controversial ‘Beep Song’. Protests against him and Anirudh rocked Tamil Nadu after the song’s leak. Recently, Anirudh appeared before the Coimbatore police and contended that he was not the composer of the song which came in for strong criticism from several organisations.